Ok here I am again, my 2nd experience with the overnight train. I’m currently on my way to Kunming. 16 hours and 900 kilometres. 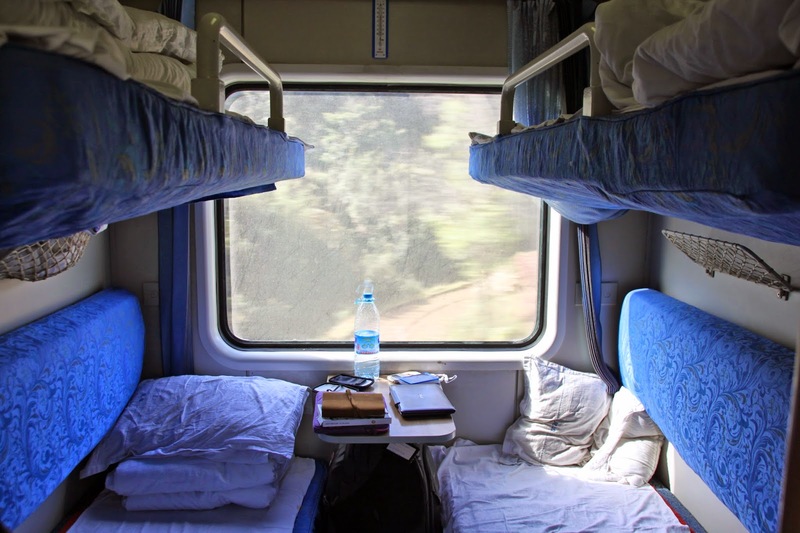 Not sure, if you remember the post about my first overnight train experience. It was a ride from Xi’an to Chengdu and turned out to be quite relaxed. 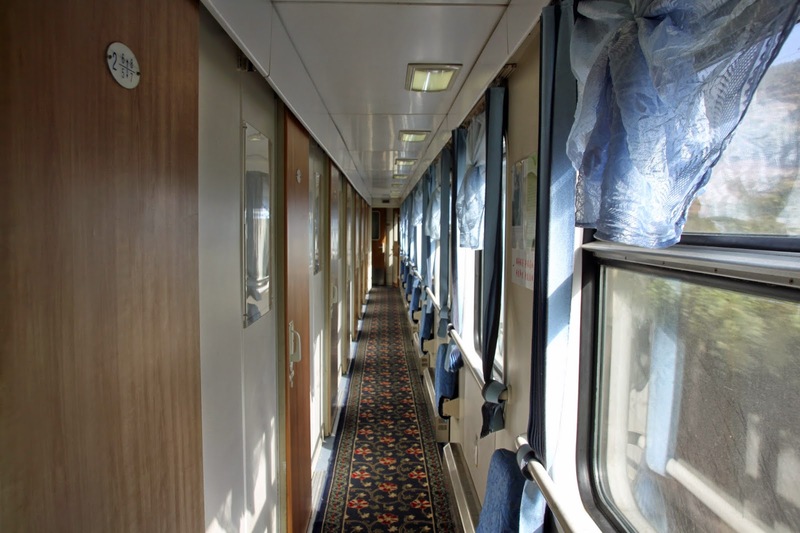 I was in the railway compartment with a young Chinese couple and an about 40-years old man, who was already asleep, when I entered the train and was gone, when I woke up in the morning. The couple watched Chinese movies until late in the night, but as I had my earplugs it didn’t bother me at all. Before I entered this train here I was curious, if I would be as lucky again or would be in the carriage with 3 old snoring men this time. The compartment I was in. Seems like I’m lucky again. I’m on the upper bunk again and next to me on the bed is a girl roughly the same age than me. On the lower bunks are two older people (I would guess around 50), who I think are a couple. None of them speaks English, so we had to communicate by gesticulation. For instance as I was starving and decided to try one of these noodle soups most of the people in the train were having. When buying it you only get the pot with the sachets of different spices and flavours and the noodles in it and have to boil it yourself. Ok, I was thinking, where the hell do I get the boiling water from? So as none of them spoke English I had to made myself clear with gestures. It worked quite well I think. The guy got up and showed me the tap with the boiling water at the end of the carriage. I then had my soup and the lady offered me her bed with the table to sit on. She also offered me some of the sunflower seeds she was snacking. I could tell, that she was interested in finding out more about me. However, due to the language barrier we could only communicate by smiling at each other. After I had finished the soup, we all got ready for bed and switched the light off. It’s 8.16am now and the young woman and the older couple are already getting off the train. Let’s see, what the new people are like. Maybe I’m lucky and I won’t even get new people like last time. North to south - nearly there! 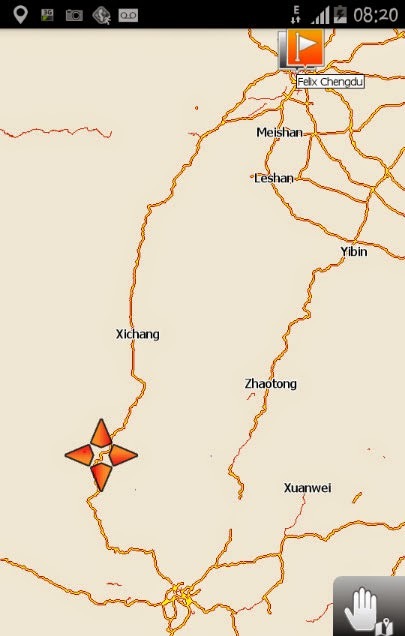 Wow, seems like I’m lucky no new people and it’s still a 4 hours ride to Kunming. People getting on the train now would probably choose a seat rather than a bed, so I reckon I’ll stay on my own till Kunming. The scenery is beautiful. Watching out the window I see mountains, palm trees, flowers (lots of flowers), rivers, farmers and a clear blue sky as well as sun! I think the last time I saw the sun and a clear blue sky was on my last day in Beijing, so over a week ago. That’s actually the only thing I dislike about China; pollution makes the sky look grey most of the time. Seeing the blue sky now makes me go really exciting for Kunming. I already took off the tights underneath my skirt hehe Let’s hope I didn't jump the gun and won’t be freezing to death upon my arrival in Kunming. Danke! :-) Schön, dass du mich gefunden hast!